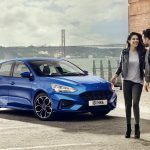 Ford today unveiled the all-new, fourth-generation Ford Focus compact car, which is set to launch later this year in Europe and Asia before going on sale in North America in the latter half of 2019. 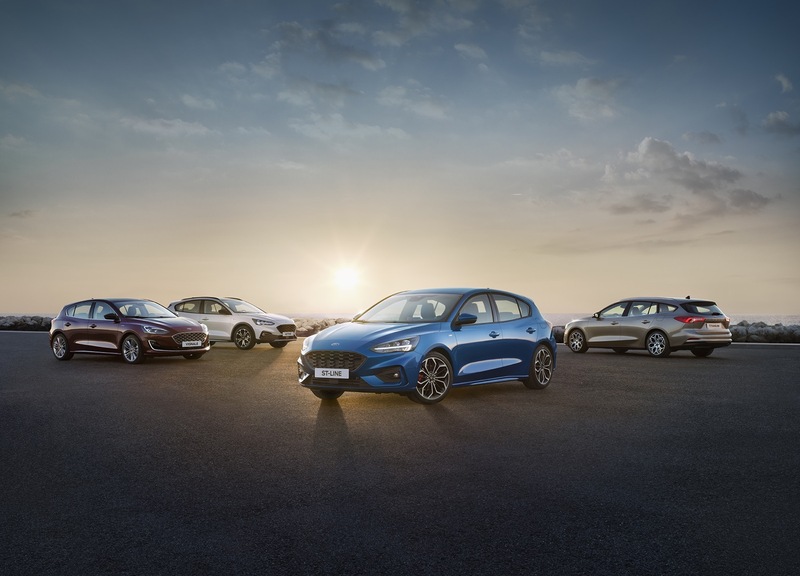 Ford debuted the car in four different trims – Active, ST-Line, Vignale, and Titanium – in sedan, hatchback, and wagon form, much as the automaker did when it pulled the wraps off of the seventh-generation Fiesta in late-2016. 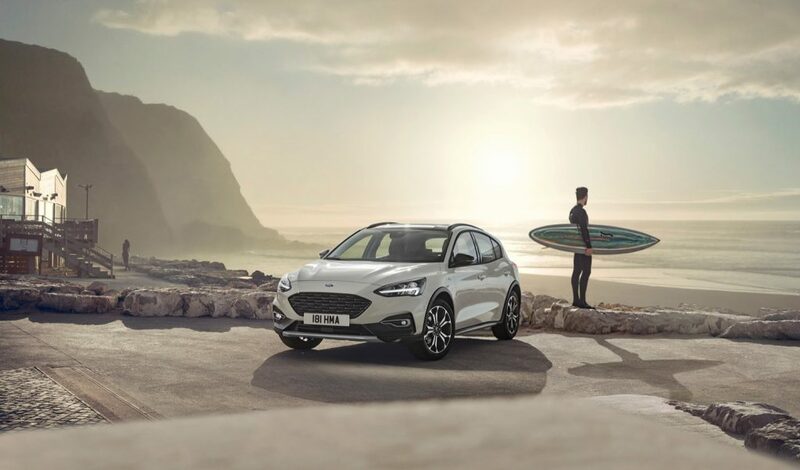 The new, 2019 Ford Focus has been re-engineered from the ground up, and although it’s still a global product, Ford has changed tack with regard to its “One Ford” strategy, more thoroughly tailoring the compact car for each individual market in which it will be sold. For instance, where all four of the models mentioned above – Active, ST-Line, Vignale, and Titanium – will be available in Europe, only the ST-Line and Titanium models have been announced for China. Which models will make their way to North America is still up in the air. 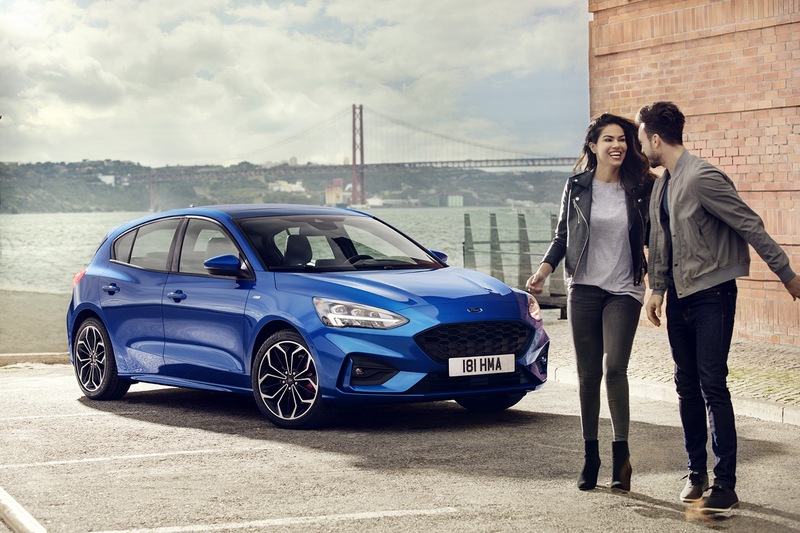 Despite rumors that the new, 2019 Ford Focus would be longer and wider than the car it replaces, the compact hasn’t grown significantly, although the wheelbase has gotten longer. That’s allowed Ford to stretch the flat floor, helping contribute 2 inches more knee clearance and 2.8 inches more legroom for backseat passengers. Shoulder room in the second row has increased by 2.4 inches. Ford has found ways to offer more front-row space, as well. The new car features an electric parking brake, activated with a switch instead of a handle, and the automatic transmission is controlled by a rotary dial. The result: more free space in the center console for easier bin and cupholder access. The console is more narrow than on the outgoing car, too, permitting more side-to-side legroom for the driver and front-seat passenger. 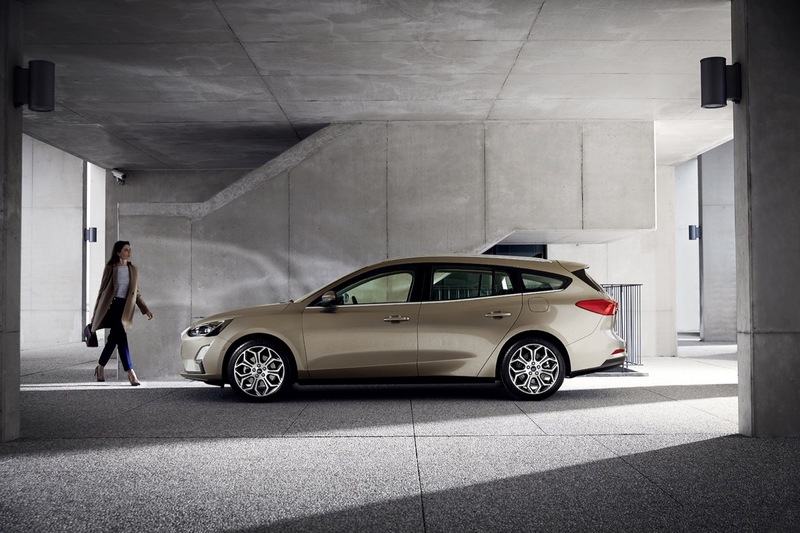 The 2019 Ford Focus features a brand-new chassis, with a new suspension and a 20-percent improvement in torsional rigidity. 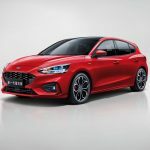 The 2019 Ford Focus will get the same 8-speed automatic transmission that’s been announced for the refreshed, 2019 Ford Edge crossover and Ford Transit Connect, while no mention has been made yet of a manual transmission option. The gearbox features Adaptive Shift Scheduling, which tailors shift timing to suit the driving style of whoever’s behind the wheel, and Adaptive Shift Quality Control, which adjusts clutch pressures depending on information from the vehicle and environment to make shifts as smooth as possible. 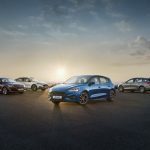 In Europe, that transmission will be offered with the familiar 1.0-liter EcoBoost I3, a 1.5-liter EcoBoost I3, or a 2.0-liter EcoBlue diesel. 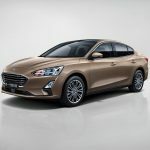 China’s new Focus will also be available with a 1.0L or 1.5L EcoBoost petrol engine, but the 1.5L for that market has four cylinders rather than three. 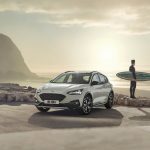 And for the first time, the all-new Ford Focus will come with standard “Drive Mode Technology”, with selectable Normal, Sport, and Eco models on all models. The different modes alter the throttle and transmission response, the weight of the electric power-assisted steering, and the Adaptive Cruise Control to suit different moods and driving styles. 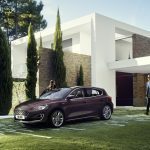 The new Ford Focus will also boast a FordPass Connect embedded modem, giving the car a mobile WiFi hotspot and smartphone access from anywhere the owner has a 4G LTE signal. Navigation-equipped models will have access to Live Traffic updates, helping to make the drive-time commute a little less unpredictable. 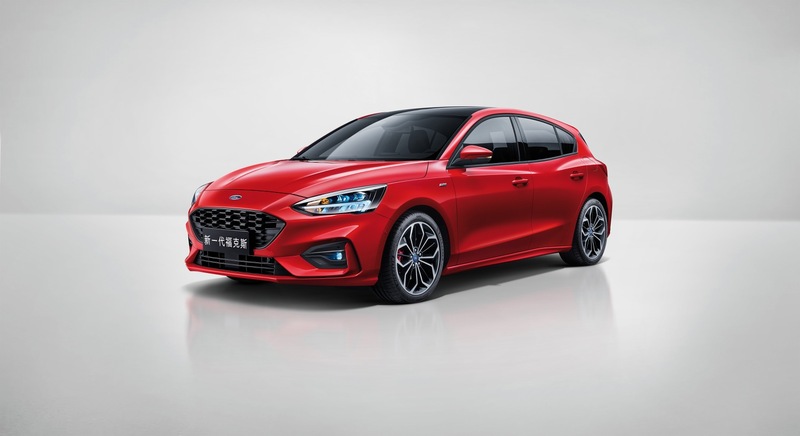 And naturally, the 2019 Ford Focus will pack Ford’s SYNC 3 infotainment system, which comes equipped with Android Auto and Apple CarPlay for in-car smartphone connectivity. 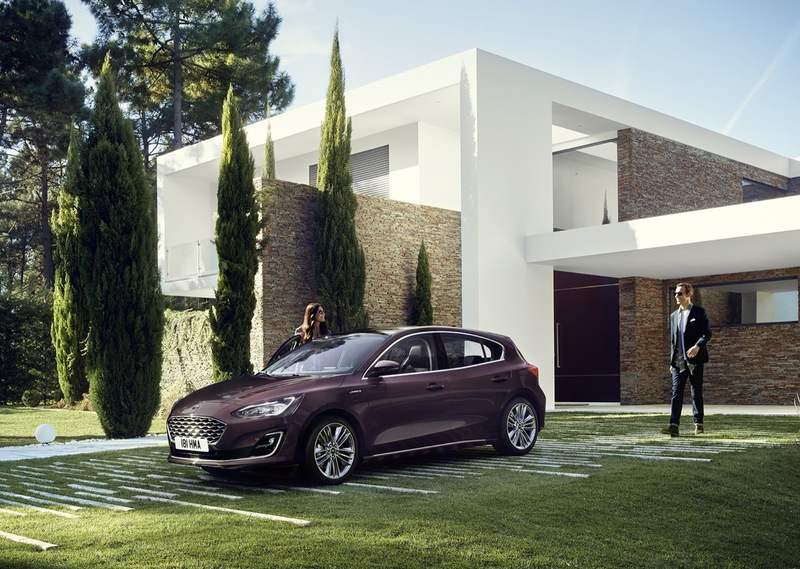 With the all-new, 2019 Ford Focus, Ford has managed to cut orderable combinations by up to 92 percent (depending on the market), going from 360 possible configurations to as few as 26, not including exterior paint colors. 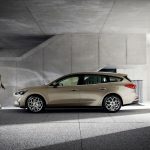 This is despite the fact that the compact car has added new trims and loads of new technologies. The intended result: lower production costs, reduced prices for consumers (at a given equipment level, anyway), and improved quality. Time will tell whether or not it’s worked. Expect to see the North American version of the new Ford Focus late this year or early next. Next story What’s In Store For The Next North American Ford Focus?